Too many factors! There are so many factors, I don’t know where to start! 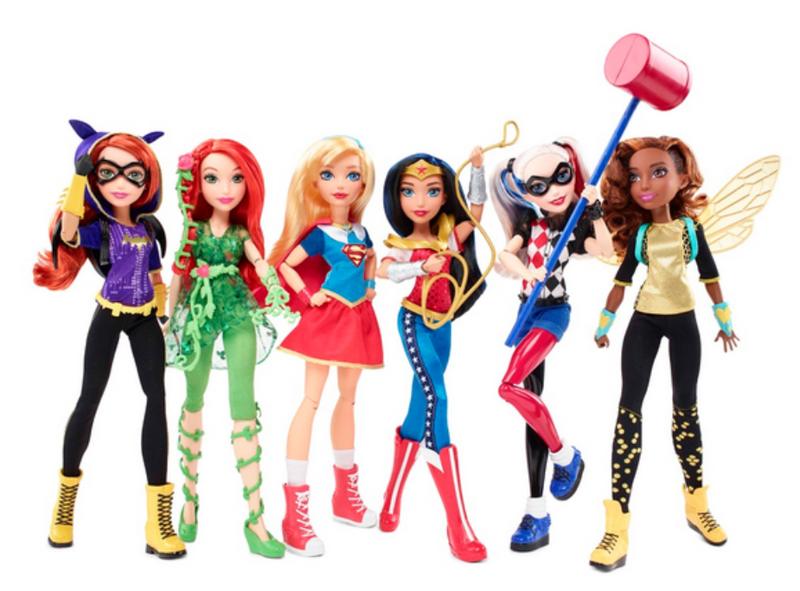 If you’re wondering, I’m talking about the latest line DC released: DC’s Superhero Girls. DC has been busy, and in a good way! From the We Are Robin comics to the new issues of Batgirl, DC seems to be trying for a more…should I say, hopeful? optimistic?, angle in their new releases. DC’s new Superhero Girls seems to be a stretch from their usual style, but with 3 episodes in, it feels like they can make this work! The general premise is this: The Superheroes are teenagers that attend SuperHero High. “Researchers found that girls didn’t want the superheroes to be too girly, a problem with the first round of dolls that Mattel developed. One girl complained that the toys looked “more pretty than superhero,” and another pointed out that Poison Ivy’s scarf would only get in the way during a fight. Wonder Woman, meanwhile, was too skinny and not athletic enough. 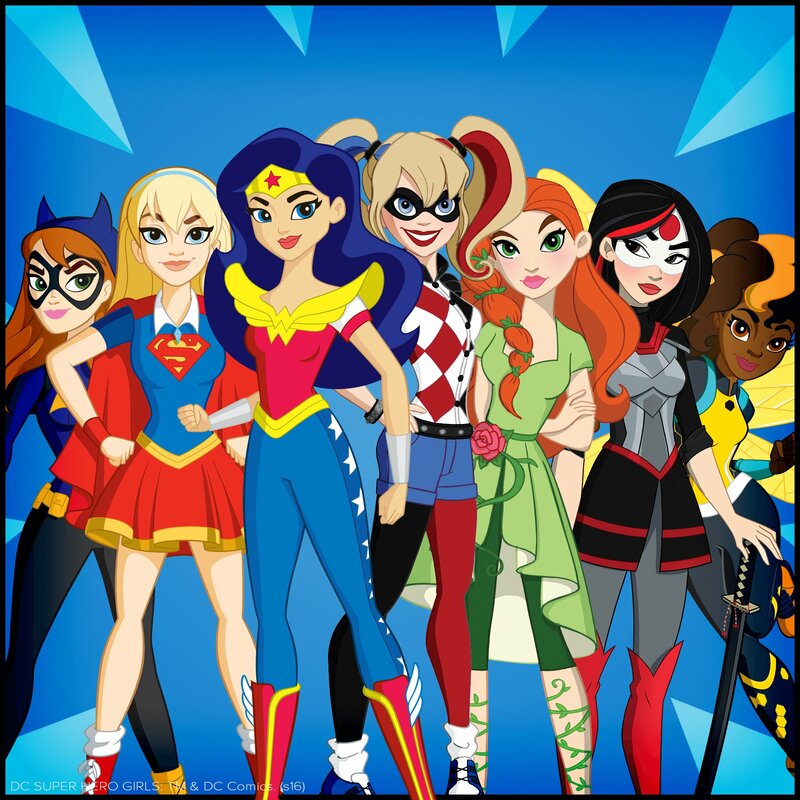 The cartoon features a rather broad array of iconic heroes and villains, but main characters of SuperHero Girls, as featured on the intro, are Wonder Woman, SuperGirl, BatGirl, Bumblebee, and surprisingly, Katana, Harley Quinn and Poison Ivy. The official website www.dcsuperherogirls.com has character profiles of the cast, along with the episodes released and a lyric video. To my dismay as I watched, each episode was no longer than 4 minutes. Some were even less! But will there be full-length episodes in the near future? Winx Club has proven that it’s possible to have full-length episodes, 3D animation episodes, and a movie if you have a successful doll-line, so we’ll see in the future. Actually, think about it this way: Instead of exposing a 4-year old to watching the Batman beat up the Joker and deal with the poverty of Gotham, wouldn’t it be better to introduce these characters in a more-child appropriate way until they turn 13, and then they can watch all the death and suffering of their favourite characters as much as they want! But before they get to that age, they’ll know what “Kryptonite” is, and the difference between Starfire and Miss Martian. So chin up, upset adult! The world is bright, the birds are chirping, the kids are on their iPhones, and maybe… just maybe, you’ll also want to Get Your Cape On. The most shoujo person to ever listen to punk rock. Jesse Quick has been cast for The Flash Season 2!